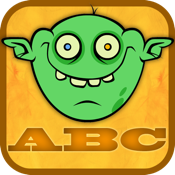 MonsterABC is more than just another flash card application for your iPhone. It's the latest in early childhood development tools – built specifically for the iPhone. This game is intended to provide kids with the tools to learn basic skills and features beautiful and entertaining illustrations that keep kids interested throughout their tour of the alphabet. It is our goal to provide games that are fun and interactive encouraging kids to learn computer skills, reading skills and problem solving in a context that is easy to use. 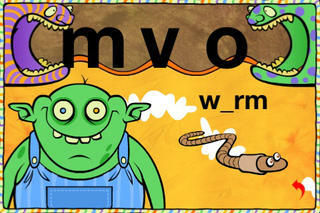 Join the Monster as he explores the alphabet, sounding out letters and words. Letters (pre-k) - Explore the alphabet by clicking letters. Tap the monsters at the top of the screen to move through the alphabet. Don’t forget to tap the picture at the bottom to hear the word sounded out. Words (pre-k and up) - The word at the bottom of the screen is missing a letter. Tap the missing letter at the top of the screen to fill it in. Match (pre-k and up) - Tap on the picture which matches the letter. Story (pre-k and up) - Build stories using pictures. FREE WITH PURCHASE: Includes FREE PC/Mac version of the letters game with purchase! KEEP SENDING IN YOUR SUGGESTIONS, AND WE'LL KEEP MAKING IT BETTER!! !